What’s a good way for you to, as Bo asked, turn your back on crack? Join the Navy. Found on a changing room door in an Army Navy store in Hollywood. Photo by the one and only Bradley Williams. 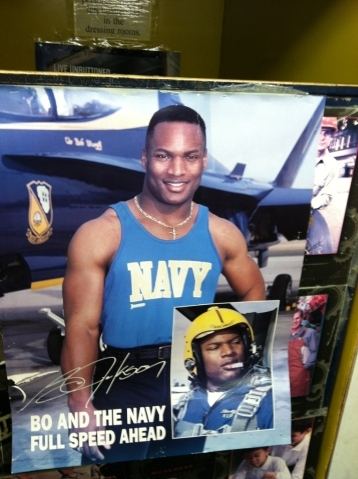 Related: Bo Jackson’s “Black and Blue” poster. I’m from Pensacola and an Auburn alum. What better combination of speed and power than Bo and the Blues!! !